If you haven’t guessed yet, I get a lot of inspiration for our homeschool lessons from our daily life. Random things we have going on like dentist appointments, obscure holidays and anything that peak Jemma’s interest … which is why I’m currently reserving books about armadillos from the library. Right around the corner is May 5th. A regular day for most, but a BIG celebration in the Mexican culture … May 5th is Cinco de Mayo! We’re using this upcoming holiday to spur some themed projects and best of all, some meals. 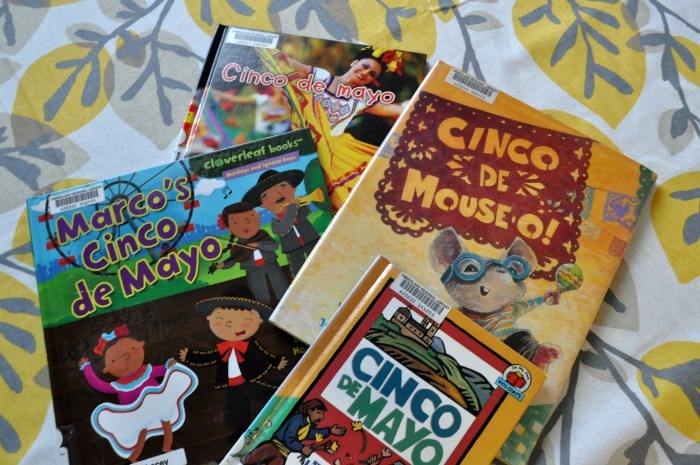 On the docket we have some fun library books and I’m using Cinco de Mayo to launch my favorite subject … geography! A little know fact about me? I love memorizing state and country capitals! 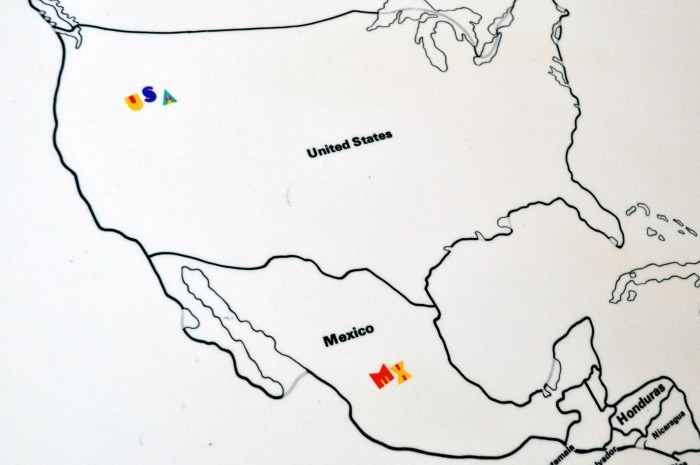 Last summer we were gifted some giant maps from a retired Montessori teacher and thus we are delving into the USA and our neighboring countries Canada and Mexico. But, even though I love geography, and Jemma is coming around to it (she REALLY loved adding abbreviation stickers! ), we love food the most :) Cooking together takes extra time, and we don’t always have it, but when we do, it’s always extra special. 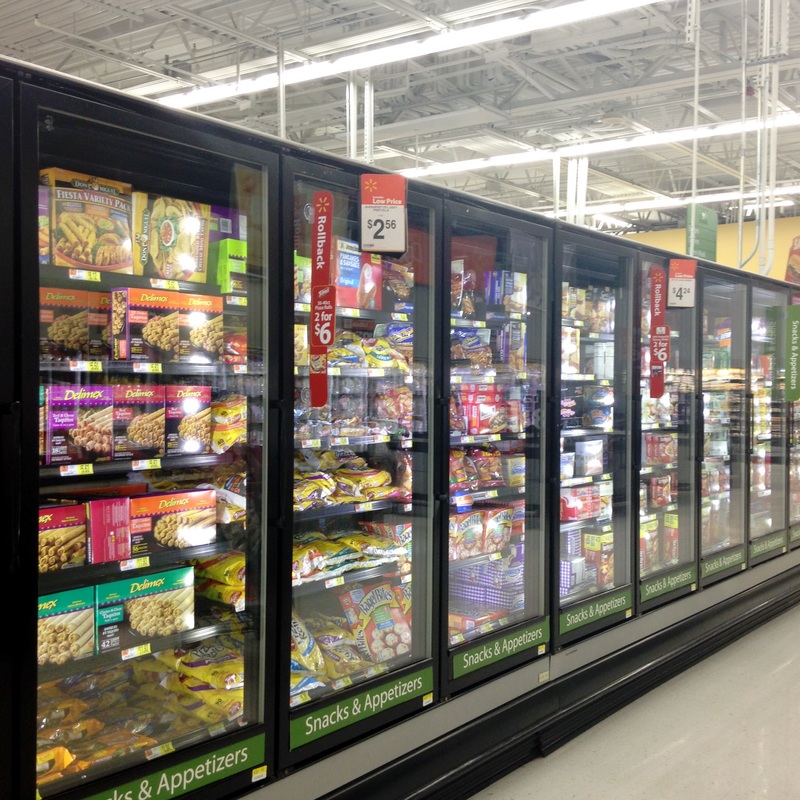 On our last grocery shopping trip to Walmart Jemma and I picked up some Delimex tacquitos and tacos. She is quite the tacquito fan! And I convinced her that they would be even better if we made a fancy dip for them. She was skeptical, but interested so we proceeded to get some other ingredients … tomatillos, avocado, cilantro. 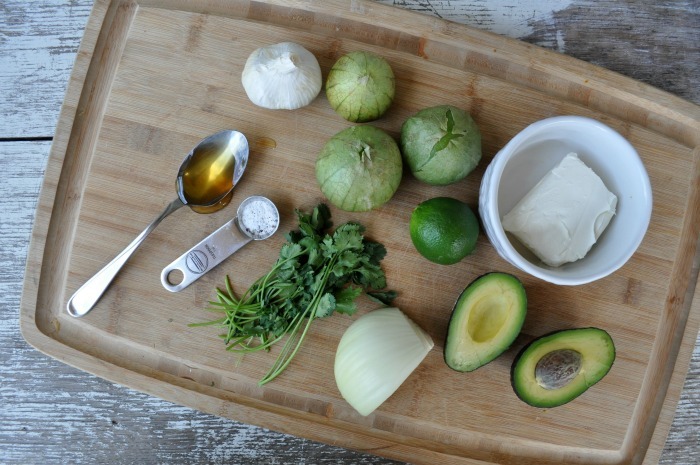 All things that scream Mexican deliciousness. 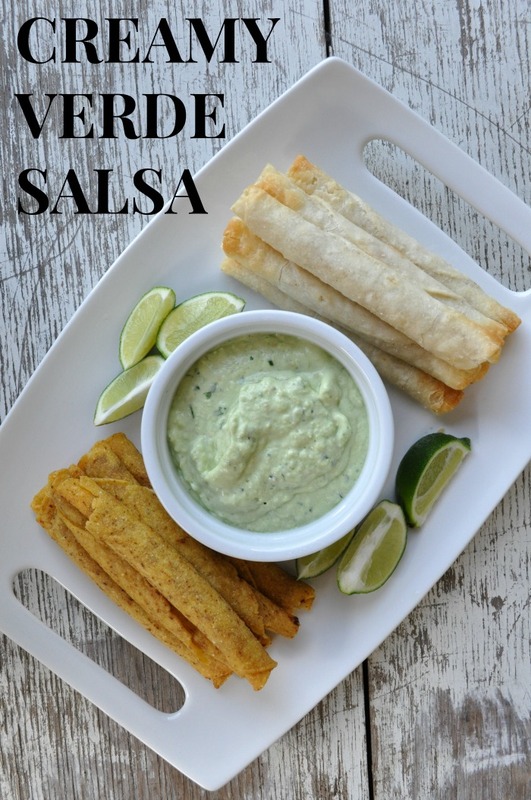 I figured that while our Delimex treats cooked in the oven we could whip up a creamy verde salsa that was full of flavor, but low on heat so the whole family could enjoy it. While we danced along to Pandora’s Salsa channel Jemma asked TONS of questions about our salsa prep … “Does tomatillo start with a t-t-t-t-tee?” and “Where do they grow?” and “Can we sing the salsa song?” I love her questions – they’re always creative and born out of true wondering. Questions mean she’s learning and learning means I’m doing a small part of my job as her mama. Instead of wishing for quiet during her constant chatter, I take those questions as a confidence boost in mothering. So, the salsa … it’s more of a thick dip, easier for kiddos that way and there isn’t any added spice, so, again, great for kids or those who love the flavor of salsa, but not the fire. 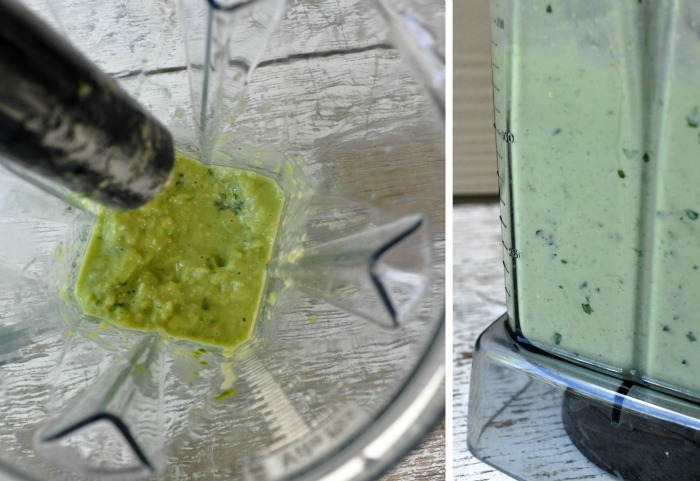 Everything is blended smooth so there is no picking out anything that looks too new or too green or too crunchy or too whatever. It’s delicious and wholeheartedly approved by our family. Well, not Max … he’s in that 2 1/2 year old stage of only loving nuggets, toast and bananas :/ But he doesn’t count because cross my heart, this dip is magnifico … I never want a tacquito without it! First step, roughly chop tomatillos, avocado, onion and cilantro and place in a bowl. 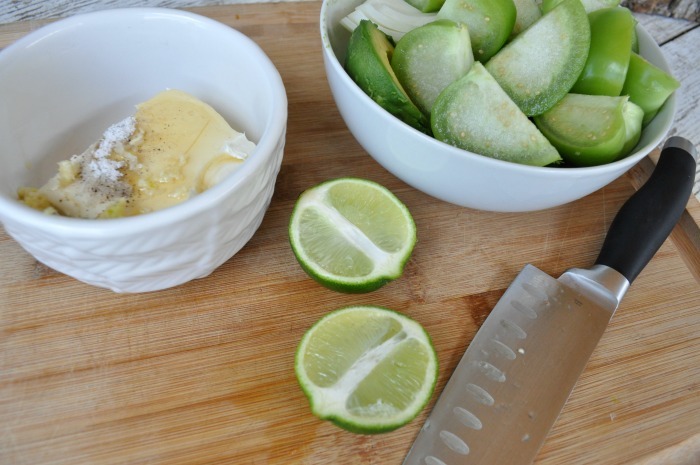 In a second bowl, measure out cream cheese, garlic, honey, salt and pepper. Do you celebrate Cinco de Mayo? In the least I’m SURE you enjoy some Mexican food! 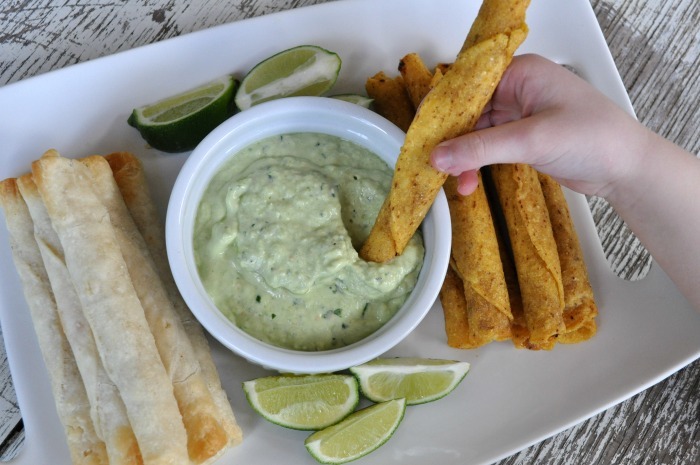 We’re loving the duo of Delimex and creamy verde salsa, but I’d love to hear your recipes for yummy salsa and dips too! 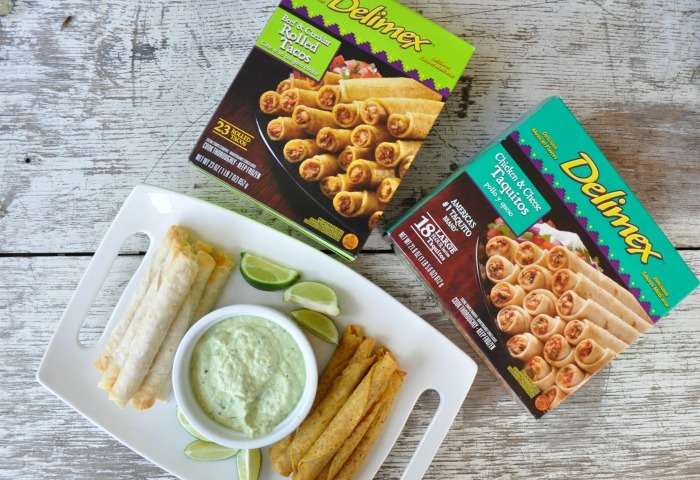 While you make your grocery list for salsa ingredients, don’t forget to pick up Delimex Tacquitos, Tacos or Tamales … they’re easy to find in the snack + appetizer aisle at Walmart. not to burst your cinco de mayo bubble (or piñata? ), but may 5th is actually not a bit deal in mexico. really – barely even a holiday. the actual independence day is september 16th and that is a HUGE celebration – fireworks, parades, streets shut down for independence parties and peaceful demonstrations, more fireworks, reenacting stuff in schools, dressing up in traditional clothing, staying up to scream at midnight…yeah, you get the idea. 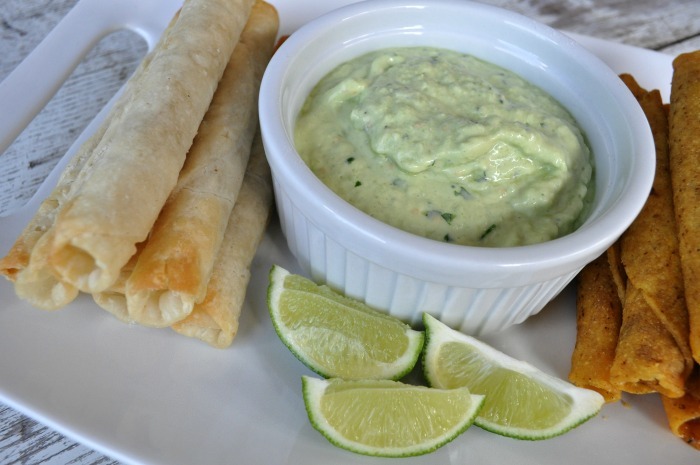 :) it’s always kinda funny when people who are not from mexico get all excited about may 5th, and everyone here is like, ‘meh.’ however, your cilantro lime guacamole dip looks delish. i may have to try it out. yum. This looks delicious! A blend of my favorite ingredients! I’ve never cooked with tomatillas, but I just noticed that Aldi has them right now, so I am going to try this recipe this week!